Hip & Waisted highly believe that belts and their buckles are an accessory with hugely wasted potential and their mission is to change that. 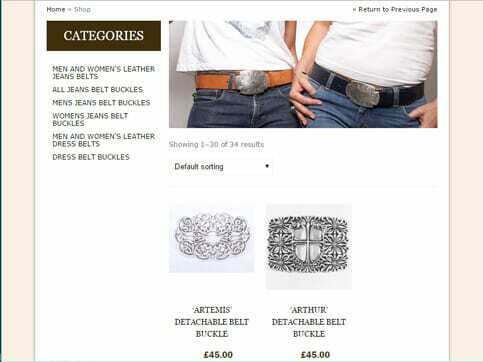 They asked for a new website with an Ecommerce shop that customers can buy their detachable bespoke belt buckles to use with their bespoke belts. The website that we built for them includes a fully working online Ecommerce shop with all of Hip and Waisted’s products listed in categories such as Men’s and Women’s. 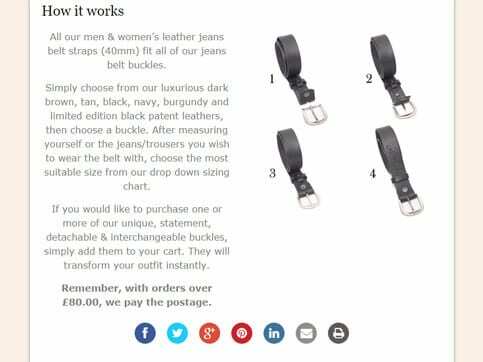 We also added an information page for customers that depicts attaching and detaching handcrafted belt buckles from bespoke belts to ensure full usage and ease optimisation.